Geocachers love origin stories. You get a bunch of them together for the first time and they love to talk about what got them into the hobby, what their first geocache find was, and how long they’ve been caching. My origin? I started my illustrious geocaching career on a whim, sparked by a different game entirely, a game that I didn’t even play until five years later. While I’ve always loved video games there was a period when they receded from the forefront of my life, or rather, I just played the same, small collection of games over and over again. That was half due to a lack of spending money, and half a general reluctance to connect to a world I was still figuring out. I had no cell phone, no social media accounts, and a computer that couldn’t handle games released after 1995. I don’t remember the catalyst but one day that all changed and suddenly I was connected again. I now had a computer with a modern graphics card, a smartphone in hand, and I was actively seeking video game news which turned out to be more accessible than ever via these new fangled audio files called “podcasts”. Listening to an episode of the now defunct Joystiq Podcast, host Justin McElroy talked about a phone game he had become enthralled by called CodeRunner. It’s a spy story that has you running around the real world unlocking recorded story segments and “hacking” computer systems by traveling to actual locations. 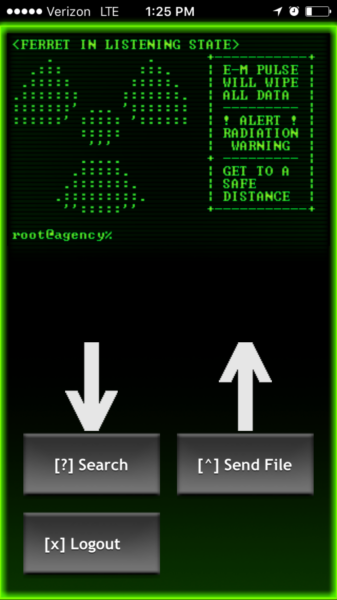 CodeRunner populates its map with secret drops and missions, some of which are user generated, using your phone’s GPS to detect your location. Justin of Joystiq compared CodeRunner to geocaching, a hobby he dabbled in and enjoyed, briefly explaining the concept of finding a geocache. I was stunned. Somewhere in the back of my mind I knew about geocaching but I had always assumed it was something for crazy, mountain climbing adventurers with special equipment. It had never occurred to me that my new smartphone with its fancy GPS technology would be capable of extending such experiences to the likes of me. I quickly downloaded the geocaching app and CodeRunner. After exploring both, I decided that I’d save CodeRunner for a special day when I could set aside time to run around playing it. The game seemed like it needed some space to be properly appreciated. This was before I had a kid, so you know, free time seemed plentiful. I planned out a few neighborhood geocaches to seek and immediately fell in love with the hobby. CodeRunner stayed safe on my phone, preserved for that day when I could give it my full attention. Years passed. I got new phones and each time I re-downloaded CodeRunner, placing it in a folder of “geolocation games”. That folder waxed and waned in size as I fell deeper in love with the idea of GPS-based gaming and experimented with every app I could find, good and bad. Fully five years later I was listening to the GeoGearheads Podcast, one of my favorites since it covers all geolocation gaming not just geocaching. I got to thinking that I had never heard them do an episode about the intersection of geolocation games and storytelling. It’s a subject I’ve thought about more and more as of late as I’ve bounced off some games that are mechanically sound but, for me, are missing something more. As I considered who the GeoGearheads should invite as a so-called expert on the subject, it occurred to me that I should not so humbly put myself forward as that talking head. As mentioned, I’ve played just about every GPS game out there. So, wink, nudge, and a nod: I’m making a guest appearance on the podcast on April 20, live on YouTube at 9 p.m. EST, released on the podcast feed the next day. Wish me luck! It occurred to me as I thought through the games I wanted to discuss on the podcast that there was a major hole in my resume. CodeRunner, ever present on my phone’s home screen, should probably, finally, be played. Over the next few weeks I took to eating my lunch at my desk as I worked so that I could use my lunch break to play. Starting up CodeRunner my cynicism was involuntarily was set to maximum. While I had strangely held onto the game all these years I was already lowering my expectations, driven primarily by the fact that except for that fated podcast episode, I had never again heard CodeRunner referenced by anyone. Not once, and I consume A LOT of media dedicated to such things. Probably a bad sign. 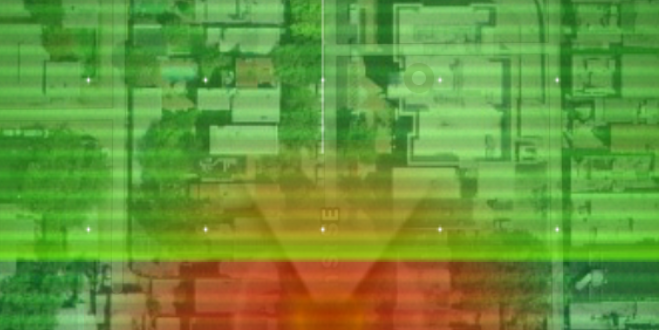 CodeRunner switches between having you travel to randomly assigned locations on a real world map, propagated a short distance away, or to player generated drop locations. It also occasionally has you travel to a location relevant to the story, trying to find the nearest one. For example, I had to catch a politician in a compromising position at a hotel and had to walk to an actual nearby hotel to start the mission. As I got more familiar with the flow of CodeRunner and its interface my skepticism began to crack. I was having fun. The gruff, laconic spymaster/narrator who you primarily hear from is tonally spot on. He hits a middle ground of sounding like he has your back in a tight spot but also wouldn’t be afraid of dropping you entirely if things got too real. He got a couple laughs out of me. Some of the audio cues that aren’t part of story missions get repetitive though. Every 15 seconds when you’re on route to a drop is too frequent. I get it, the target is still north of me. Give me some space, game. 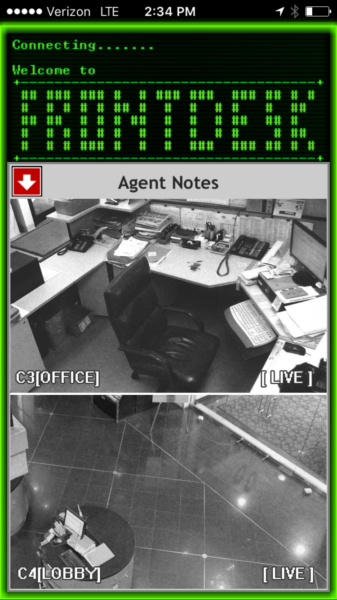 CodeRunner tries really hard to create an illusion of urgency, wanting you to feel like danger is around every corner and at any moment counterintelligence agents will jump out from the shadows. It’s only as real as your willingness to play along. There were a few missions where the game wanted me to sprint away from things like ticking bombs, using my GPS coordinates to gauge distance traveled. I instead took my time and wasn’t penalized for my slow stroll– I was wearing work clothes and shoes! Not going to dash about wearing a tie when I have to return to work in a couple minutes, no matter how many mini nuclear devices are going off. Turns out that I probably didn’t need to save CodeRunner for some magical, sunny Saturday when I could exhaustively immersive myself in its world of espionage. My short lunchtime excursions were enough to properly participate. While playing I kept thinking about how odd it was that CodeRunner isn’t referenced more often. It mechanically does so many things very well. 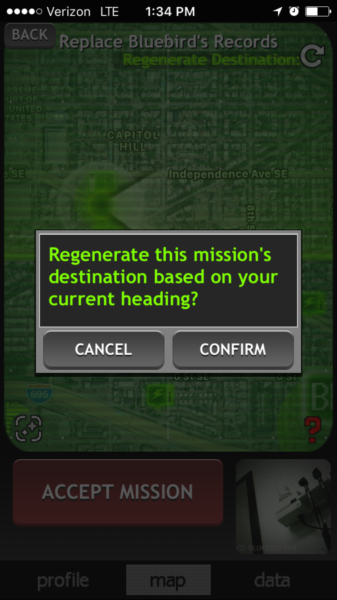 I LOVE that you can reset where the game places missions on the map. It rarely placed them somewhere I couldn’t physically travel to but sometimes I just wanted to walk in a different direction than normal. And why are there hardly any user generated drops around me? 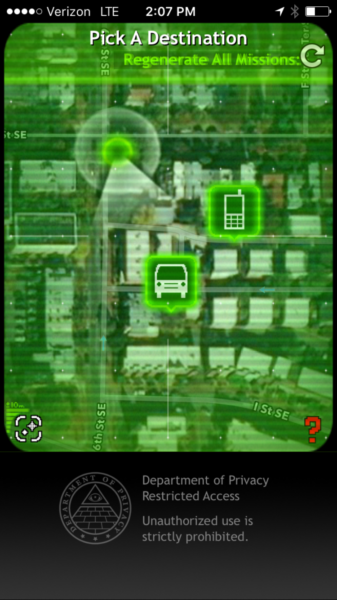 I’m playing in GPS game-happy Washington, DC where you can barely walk three feet without tripping over an Ingress portal. Turns out that the story missions are far fewer in total than I had expected and the story ends rather weakly. Both are a huge bummer. You can collect some random “evidence” by continuing to visit other users’ portals but without anything beyond CodeRunner handing out some unsatisfying achievements, there’s no reason to keep playing. 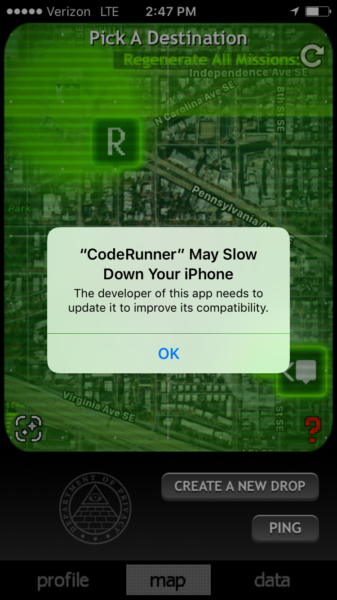 The message I got from my phone mid game was a clear indicator that CodeRunner wasn’t being supported by its developers any longer. There’s a lot to love about CodeRunner and it should be part of the conversation when considering the intersection of geolocation games and storytelling (gotta stay on brand if I’m going to do that podcast). The game got me playing in a way that no game really has– I actually paid attention to my environment as I was walking around. While I wasn’t going sprint around I also wasn’t just staring at my phone waiting to get to the next portal or pocket monster. I kept an eye out for security cameras, ATMS, and more, looking for the next place I could hack to keep the story going. Plus, if it wasn’t for CodeRunner I wouldn’t be a geocacher and for that alone it has my respect.